One thing I love about living in the town my husband and I mostly grew up in is that we’re a stop for people when they come back to visit. I think we both enjoy being a welcoming place for people to drop by for a visit, and everyone knows they’re welcome to spend the night if they need to. 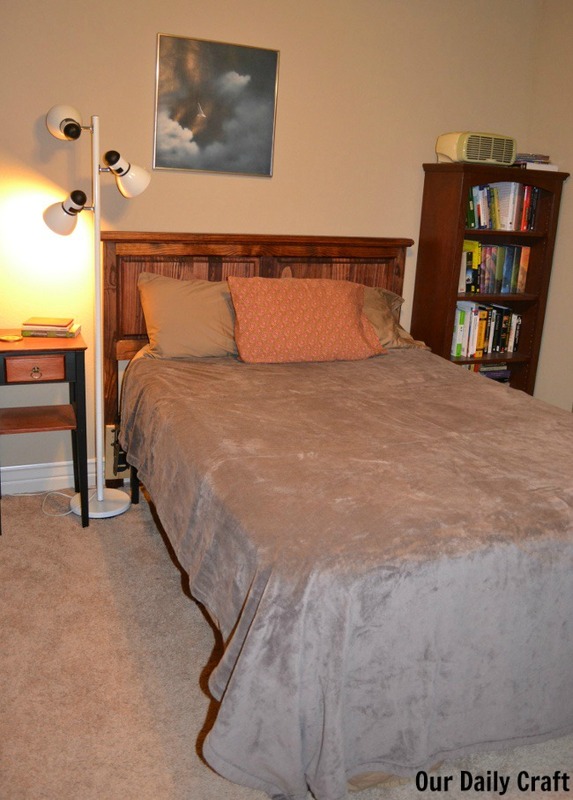 That said, even though we have houseguests occasionally through the year, our guest room is not always guest ready. But now is the perfect time to get your space set up for guests so you can be ready when they are. And it doesn’t have to take a lot of time or effort, just follow these easy steps to set up your guest room right. The thing about guest rooms is that, for a lot of the year they are storage rooms. (Please tell me I am not the only one.) So the first thing you have to do is make it look more like a guest room by any means necessary. For me, this means tucking things under the bed, filling up the closet (no one stays long enough or wears nice enough things that they need to hang clothes anyway) and/or putting some things in the attic, my office or the hall closet. Things don’t have to be perfect, they just have to be out of sight. Our guest room is really plain and is mostly decorated with books, but it’s still pretty comfortable when you put the nice sheets and the big fleece blanket on the bed. 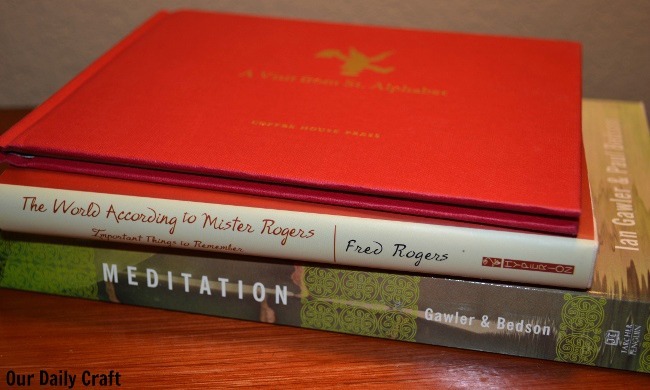 You can choose books you think your particular guest will be interested in, some of your favorites, holiday books or whatever you like. I think it’s a nice touch. You could also add a candle, a colorful throw, or, if you wanted to get really fancy, a framed picture of you and the visitor from the days when we actually printed out photos. It’s up to you how detailed you want to be in providing necessities and extras. 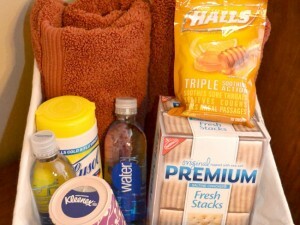 Towels, washcloths and an extra hand towel are a must. 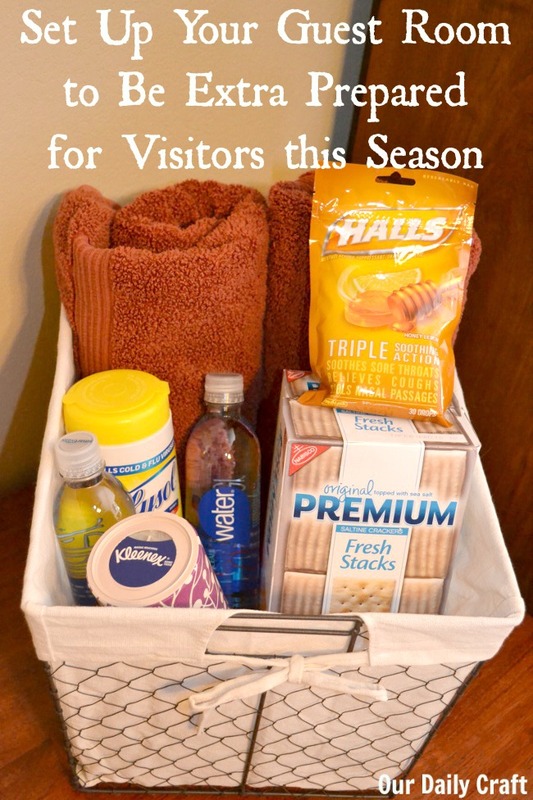 You could also have available in the room or the nearest bathroom things like soap, shampoo, toothbrush and toothpaste, depending on how unprepared you think your guests will be. SmartWater, because everyone gets thirsty and it’s nice to not have to go downstairs, hunt around for a glass, try to figure out how to use our water dispenser, etc. Kleenex in adorable tubes, because why shouldn’t necessities be cute? 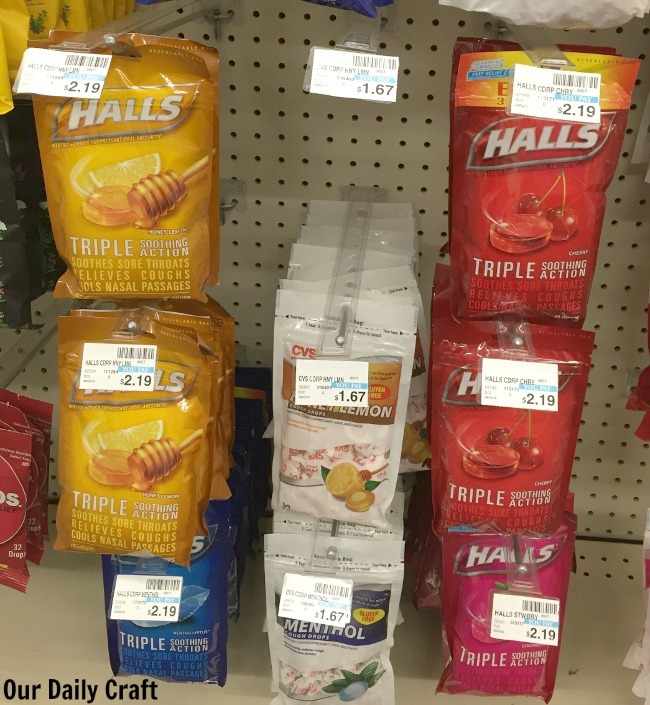 HALLS cough drops, just in case of the tickles. Premium Saltine Crackers, in case they need a simple snack. 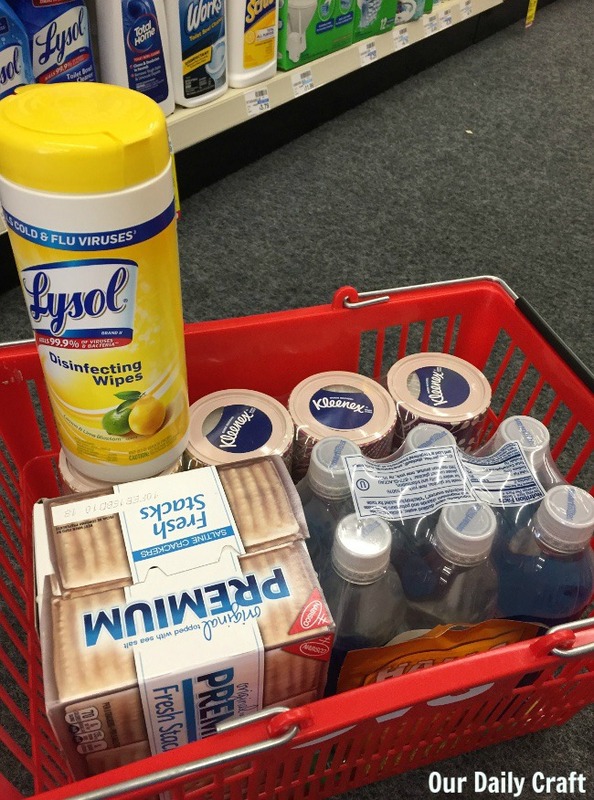 Lysol disinfecting wipes, because Lysol kills 99.9% of bacteria on soft surfaces, and you never know when you might need that. 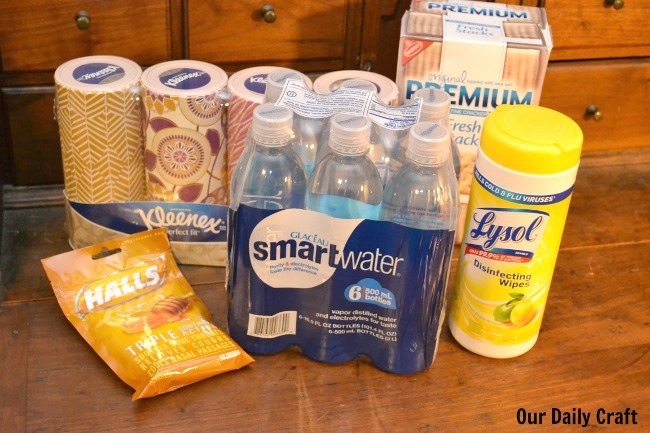 You can grab these supplies and whatever else you need at your local CVS, where starting Sunday 11/15 through the end of the week, if you spend $15 at your CVS store, you will receive $5 in extrabucks. 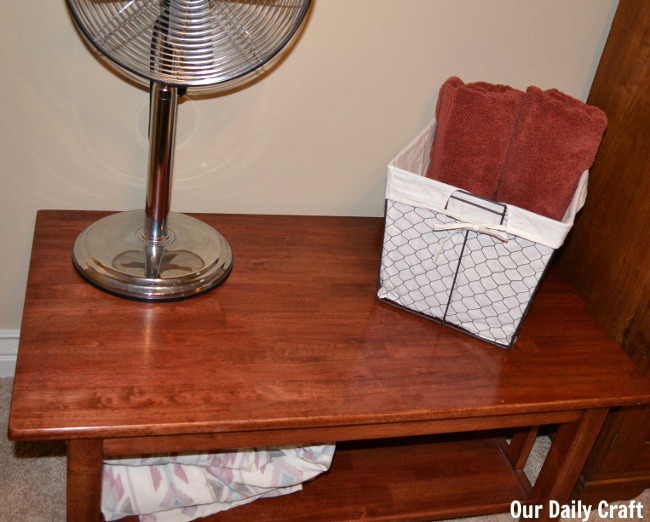 We have this table in our guest room that also holds a fan for those who get too hot and an extra blanket for those who get too cold. 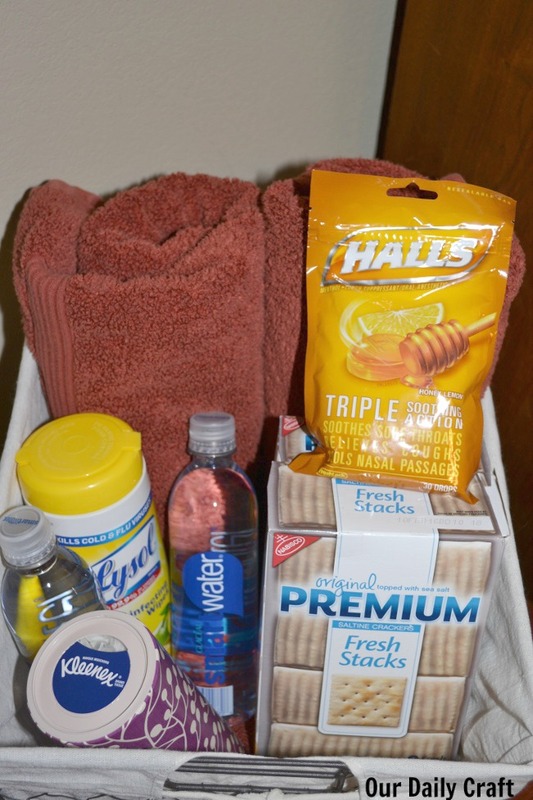 I added the supplies to the towel basket, so it’s all there, ready to grab when they need it. We can’t anticipate every need our guests will have, but the more time we take to set up our spaces in advance the more likely it is we’ll have taken care of most of their needs before they even have to ask. Now that you know how I use CVS to help get my house holiday house guest ready, what do you like to do to make your guest room a bit more like home? I’d love to hear your thoughts. I’m so fortunate to have a storage space at our new home and our kids are grown so my extra bedrooms stay pretty clutter free. That said, it still takes a little time to spruce it up for visitors and I love having a basket of CVS supplies as well. I would totally eat all the mints myself, Jenna!